A business email is a fundamental part of business correspondence. The email is a short document bearing information of a commercial nature and affecting one or more questions. With the help of a business email, you can not only correspond with partners, but also create an image of the company. Writing a business email is a link between the departments of the company, and between institutions, legal entities, and individuals. In general, the structure of an electronic business letter differs little from a business letter on paper, but some distinct features exist. Usually, in electronic messages, instead of the traditional appeal, the recipient’s greeting is used. The depersonalization of the email is regarded as tactlessness, and the absence of welcoming words speaks of the lack of discipline and indifference of the sender. Greeting words should be written in a separate line, separating it from the main text of the business email. If the parties of the correspondence exchange messages repeatedly during the day, then the lack of a greeting is allowed. If the sender of the letter is not familiar with the addressee and writes to him or her for the first time, then the email should be started with an explanation of the reasons for the appeal. The main text should be as concise as possible, but informative. The best size of the text of the electronic business letter is one page, that is, the addressee can read it without scrolling the page of the email program. Divide the text of the letter into paragraphs, as it is easier for the recipient to perceive the information that has come when divided into semantic parts. Check out our writing steps if you want to know how to make a business email. Create a clear and specific subject. This is the first step if you want to know how to start a business email. Do not forget the importance of filling the “Subject” field of the electronic message. Typically, companies receives a large number of emails. The addressee will quickly calculate the correspondence necessary to him or her according to the subject of the letter, and the rest will be deleted or sent to spam. The theme of a business email should be laconically formatted, and the essence of the message should be reflected in few words. A precise, catchy name for the topic will immediately attract the attention of the addressee. Otherwise, your message may be spammed. If you write in response to a sent message, then in the “Subject” field, “Re: original topic” should be written. If you answer the email, but the topic of correspondence changes, then it is better to begin the correspondence with a new letter. Check out our guide on how to create business email writing topics. Begin with salutation “Dear Mr. Smith,” or “Dear colleagues.” If you reply to an email, leave the text of the previous letter as a whole or, in case of a voluminous message, cite only the important parts of the letter. The quoted text of the previous email is placed at the beginning of a new message. Write the main message and get to the point. When answering a sender’s email, you should not start from scratch without saving the previous communication history. In the case of such a response, the addressee will be forced to look for the sources of your correspondence with him or her. If the letter contains important information or urgent information, then set the importance level to “high.” A business email with a note of importance will be highlighted among other incoming messages of the addressee. Use this feature if the letter is really important, but do not abuse it. Mention the attachments you are sending with the email. By the established standards of etiquette, without warning the addressee about the volume of attachments, you can attach 2-3 megabytes of information. If the attached documents are more than 3 megabytes total, we recommend you specify the recipient’s ability to go through this volume through his or her mail server, since many specialists use email services via the phone. End with an appropriate closing, such as “Thank you” or “Sincerely.” Should you request a confirmation of receiving an email? Many users are annoyed of the confirmation service, and they regard it as a suspicion of their irresponsibility. But in practice, the postal service can work with interruptions, and the sender must reliably know if the recipient has received his or her email. Add a signature: full name, title, company, and contact info. In the signature, you should not use abbreviations. The addressee, following the text of the business email, should know how to contact the author in the correspondence. In addition to the author’s name, it is necessary to indicate his or her position and name of the company. By writing this information, you give the addressee an opportunity to assess your competence in solving a particular issue. Below you need to write additional information and contact information, such as: an additional working email address, personal email address, phone numbers, addresses, links to pages on social networks, etc. Add attachments you refer to in the message. Check out the infographics with 8 easy steps to write a business email. A business email example is an important paper if you are not sure how to deal with your own letter. Different business letters can be written according to the samples we present. Analysis of the business email template shows what you need to add in your letter and what is better to avoid. 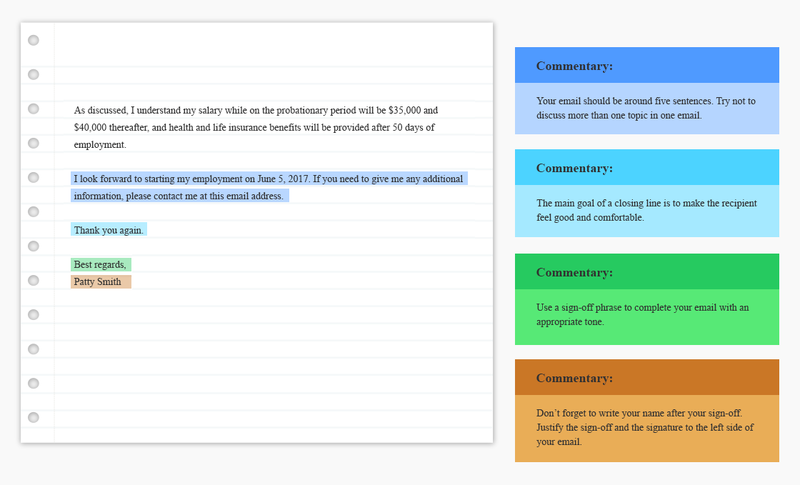 If you need to know how to compose your business email, check out the following analysis. If you want to know how to write business mail, you should know that it is issued on the letterhead of the organization. For writing business letters, as a rule, a Times New Roman font with 12-point size and single interval are used. The outgoing number and date of writing the email are marked in the upper left corner and are duplicated in the accounting journal of outgoing documentation. If your message is a reply letter, then the number and date of the email to which you are replying are displayed under the outgoing number and date. In the upper left corner write the name of the company of the addressee, the post, and the name of the head or specialist to whom the letter is intended. In the lower left corner of the letter, the name of the post of the head, the name, and his or her signature is out, and below – the position, name of the performer, and his or her contact phone number is put. If you write a reply letter, you should politely refer to the last message received from the addressee. If your letter is the beginning of a business correspondence with a foreign counterparty, you should submit your organization: the name, scope, and objectives and tasks that the company pursues in international markets. Do not write in all of the details of the activities of your company, as it is enough to attach a booklet to the letter reflecting all aspects of the company’s work. In the text of the letter, please include a link to the booklet. The title should be concise, understandable, and catchy, as these characteristics will help highlight your appeal to the addressee from the rest of the correspondence. It will be good to briefly annotate the letter; it is necessary in case the addressee can not immediately read the entire text of the message. 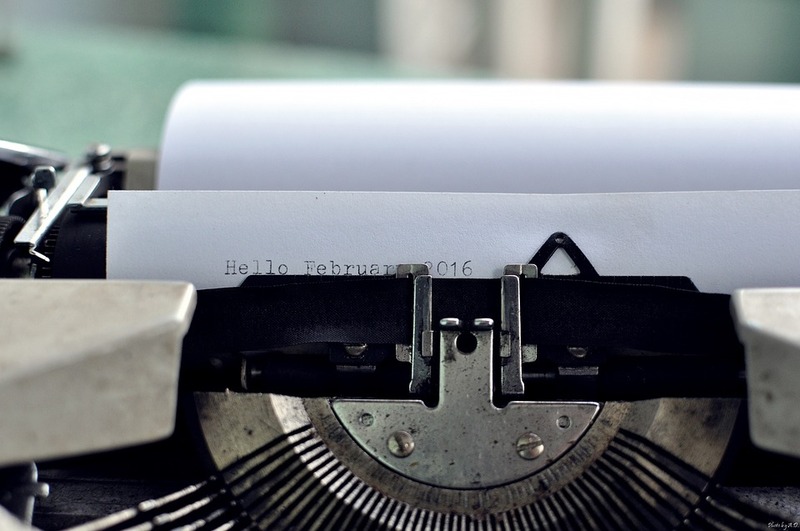 We recommend putting compliments at the beginning of the business letter. Name the recipient’s company a reliable partner, a well-known enterprise of the city, etc. You may prescribe in the business email a proposal for further fruitful cooperation. When you finish the text of the letter, insert the full list of documents (if necessary). Number the documents in chronological order. Do not start a business email with a refusal. Outline the reasons for the negative decision on your part, and let the counterpart know that under other circumstances there is an opportunity to return their proposal to consideration. It is not allowed to place blame on the addressee for lack of care or competence. Avoid phrases like “We suggest you carefully study …” etc. 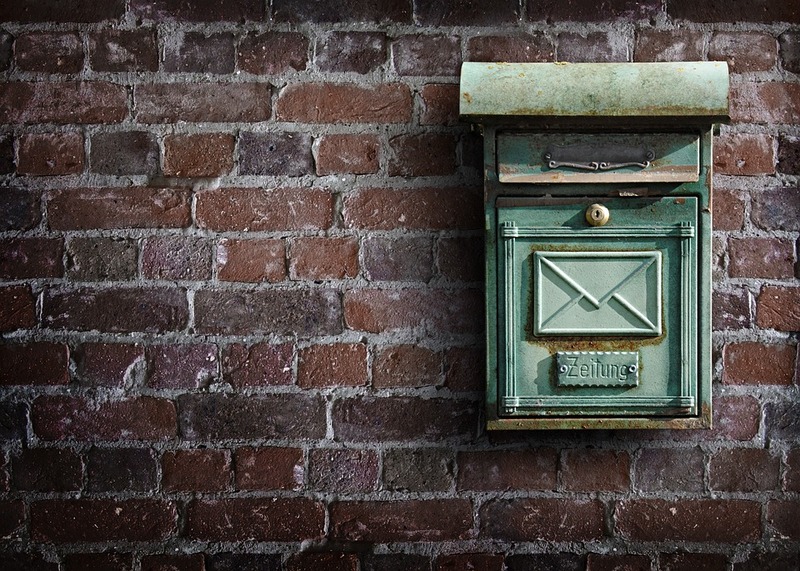 Do not make the addressee hurry with the decision – it is better to avoid the following words: “urgently,” “in a short time,” and “immediately.” Use such ethical phrases as: “We earnestly ask you to inform us about the decision”; “Please send us an answer to our proposal before …” etc. Use the following templates and phrases if you want to know how to write a good business email. We inform you that your proposal has been accepted. From the third person singular, for example: “The company ‘Shine’ does not object …”; “The company ‘Accord’ guarantees …”; “Joint English-American company ‘League K’ offers …” etc. From the third person plural, for example: “The administration and the trade union of the enterprise ‘Shine’ convincingly request …” etc. From the first person plural: “We inform …”; “We confirm …”; “We ask …” etc. From the first person singular, for example: “I’ll inform you …”; “I ask you …”; “I bring to your attention …” etc. From the first person plural, for example: “We support …”; “We congratulate …”; “We approve …”; “We received a telegram from you …” etc. We guarantee the quality of the work performed. Terms of the provision of services are guaranteed. We have no objections to additional work. Our appeals on the above problem did not lead to a positive result. The promises you gave us are not being fulfilled. We kindly ask you not to linger with an answer to the business letter of the general contractor. We hope that our requests will be heard and implemented. We wish for success in your production activities. Please excuse us for inaccuracies in the source documentation. We apologize for the delay in responding to the business letter of the general contractor. There is no singular approach to the language of a business email, since each letter is written individually, according to the situation, and is tailored to the specific recipient. But we will consider the general criteria for the language and style of the business email, providing both stylistic and lexical literacy. The language of the business email has a frequency of recurrence and uniformity of speech means. In general, a business letter consists of a set of standard phrases. It happens that a business email is written emotionally, thereby showing the identity of the author. Try to avoid excessive emotionality in business correspondence, as the letter should be written clearly and neutrally. It is not necessary to emotionally describe the facts, which can be stated specifically. In the text of a business email there should be no dialectal or non-verbal expressions, modal words, or interjections. The task of the author of the letter, first of all, is to objectively state the facts, not to express emotions and a subjective attitude toward the addressee. In the text of the email, you must reflect a logical sequence of presentation. reduction of the range of speech facilities. When compiling a business email, its information saturation, that is, the content of the required amount of information, is extremely important. The subject of a formal business letter is the communication to the addressee of information about the situation, as well as the assessment and analysis of such a situation. A business letter can summarize several situational and evaluation models, and for this, decompose their content into different paragraphs of the text of the letter. Having broken the text of the letter into paragraphs, you can facilitate its perception and show smooth transitions from one thought to another, in such a way that the addressee receives information in portions. The subject of the paragraph is revealed in the beginning, as in this part of the paragraph it is said about what will be discussed further. The basic information of the paragraph is contained in the paragraph phrase. 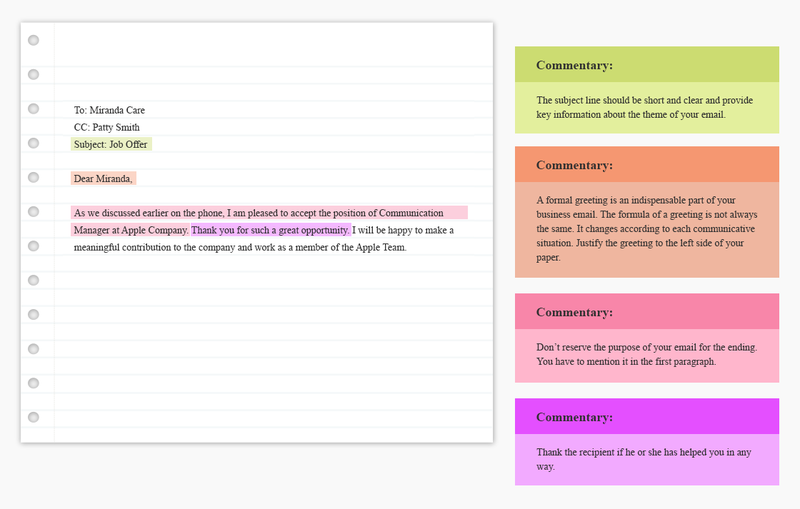 Summarize the results of what has been written in the commentary section of the paragraph. For this part, it is better to start with words such as, “in this connection,” “thus,” “therefore,” etc. It is not always possible to draw explicit boundaries between parts. The relationship between each sentence of the paragraph can be achieved through repetition. Repetition is a kind of logical and grammatical link between sentences and between paragraphs. Certain elements of the previous sentence are repeated in a subsequent sentence in a modified or unaltered form. Now you know how to write a professional business email easily. It is important to have a solid guide if you are writing a business paper for the first time. With our guidelines, you will avoid mistakes in your email. If you need to complete another type of business paper, check out our blog for more guides!